Born and raised in Miami, FL. 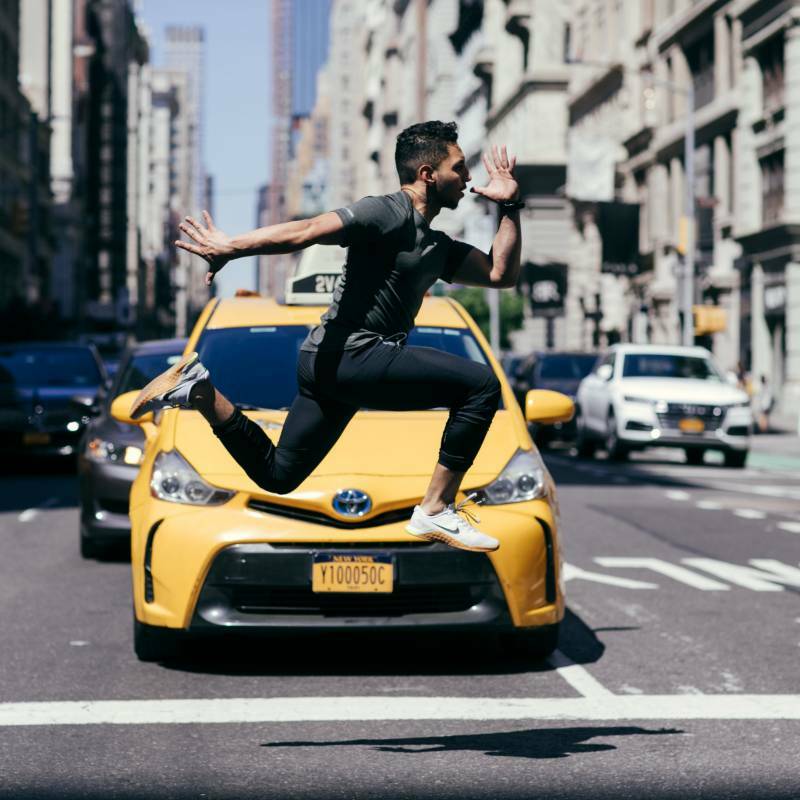 Andrew comes from a very athletic background – everything ranging from wrestling, football, BJJ, Muay Thai Kickboxing, all the way to classical ballet and modern dance. 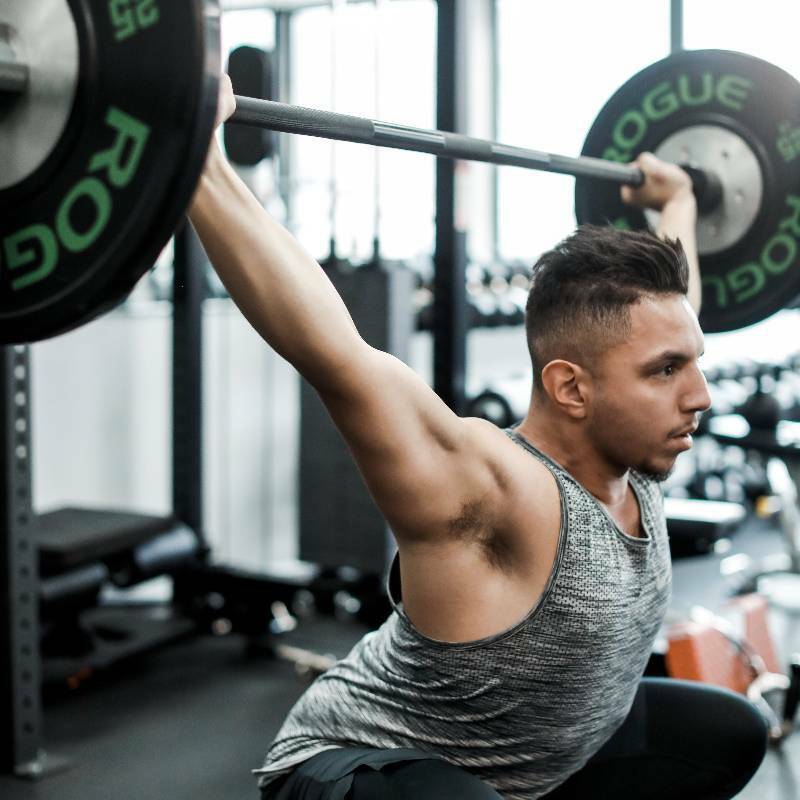 Gonzalez graduated from NYU with a BFA and worked as a trainer and group fitness instructor at the former David Barton Gym while he was in school. Upon, DBG closing its doors Gonzalez moved to Equinox where he became one of the top performers of his branch. Eventually leaving Equinox, he pursued training independently and the rest was history. Gonzalez is no stranger to hard work so feel free to reach out even if you don't see your desired availability! Come prepared to put in WORK. When it comes to style of training, I pay a lot of attention to alignment and detail in form while still bringing the intensity. 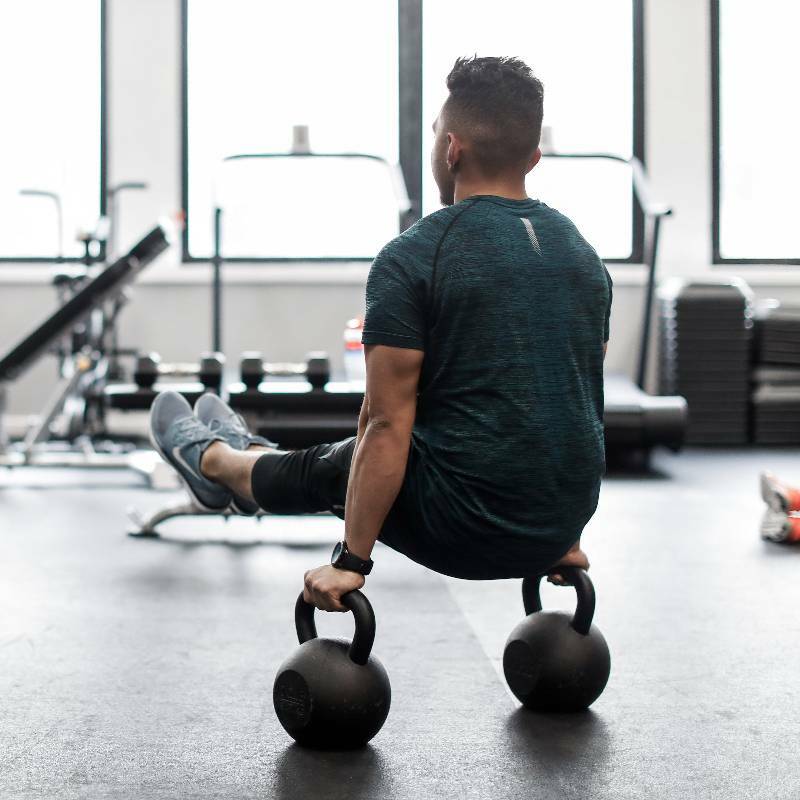 As someone who comes from my kind of background, I am interested in molding the human body and pushing the limits while developing confidence, charisma, and mental toughness in my clients. In 2013, I tore my labrum and left bicep; inevitably I was out for about 3 months with complications and a physical therapist. It was because of this injury that I educated myself on strengthening and injury preventive exercises, while adhering to any contraindications. As a child I struggled with mild obesity and pre-diabetes, so I understand the struggle to make a change and enthusiasm needed to get the spirit going. Needless to say, I have the patience of a saint. I provide my clients with links to nutrition articles that I find useful whenever asked! I can answer all your fitness questions to the best of my abilities and will research the heck out of those that I cannot. I've been working with Andrew once a week for a couple months now. Before that, I hadn't exercised in years. Andrew got me off my seat and back in the rhythm. He's motivating, thoughtful, knowledgeable, and a hard working dude. He established goals early on and we're on target to meet them. Can't recommend him highly enough. I worked with Andrew for almost a year, and in that time, I was finally able to put on the muscle I had been working towards. He is a great trainer and even better guy. Every session was something to look forward to, not something to dread. Highly recommend for anyone looking to get in great shape! Prior to working with Andrew, I didn’t know what I was doing at the gym. Andrew worked with me several times a week to show me proper form and exercises to start to get the results I wanted. I began to instantly see results and had fun in the process. He’s an easy going guy that really helped me get confidence I wanted at the gym. I’ve worked with Andrew many times over the past few years - whenever I’m looking to clean up my form or change up my workouts. Andrew consistently pushes and motivates me, and he uses his extensive knowledge to custom tailor our workouts for my body type, size, and specific goals. Plus - this guy knows how to bring fun to our serious workouts! I’ve been working with Andrew for about six months and have seen a huge impact on my fitness and strength. Prior to working with him I was afraid to lift out of fear of injury. Andrew focused on technique and form at first and got me doing the exercises properly. As we’ve progressed I’ve become much more confident and fit. On top of being a great trainer he’s also a great dude - he listens, motivates, and makes going to the gym something I look forward to. Highly recommended. I can’t say enough great things about my experience with Andrew. The physical and mental benefits that have come from our training sessions have surpassed my expectations. 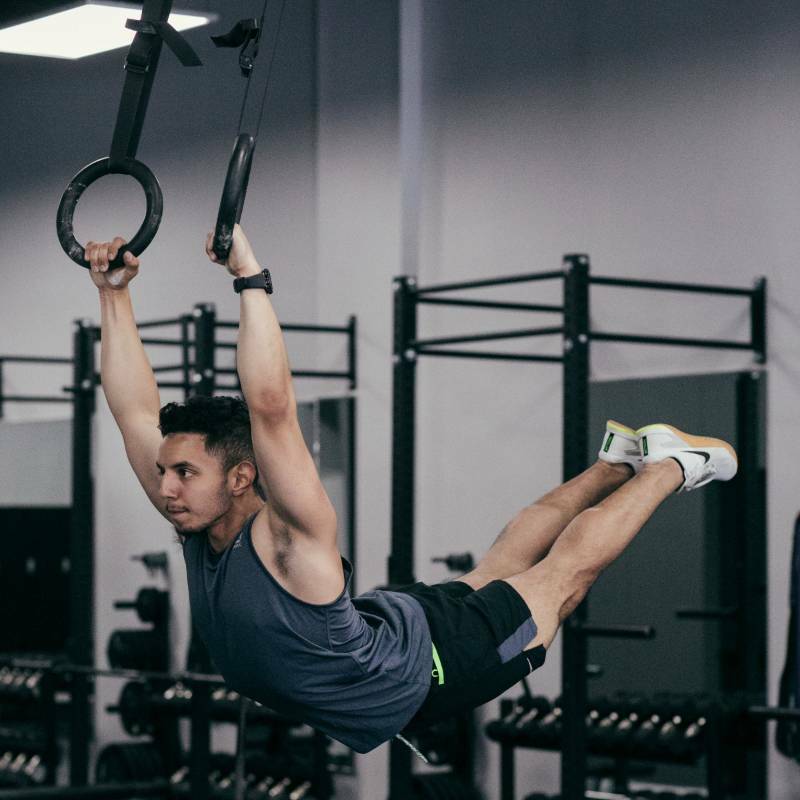 When I started training with him a year ago, I was out of shape, anxious about going back to the gym, and hesitant to make the financial investment. Andrew has turned all of that around for me. He’s shown me that I’m capable of being as physically fit as want to be and stronger than I ever thought I was. He pushes me harder than I would ever push myself while adapting the workout to be within my limits. He’s respectful of our time together and uses every minute of our hour-long session. He has a great personality – he maintains professionalism while also being very personable. He keeps me accountable for my goals and continually provides advice and encouragement. Working with Andrew has by far been the best investment I’ve made in my health this year. Andrew is one of the only trainers who has as a focus to teach you to work out on your own. He will get you to your goals in no time and make it so you can maintain yourself from that point onward. He is a great teacher and makes everything super fun, and every workout something to look forward to. When I met Andrew, I was just out of a 2 year tunnel of non-stop work and travels, having given up on working out. I started training with him 3 months before my birthday trip to Australia, and Andrew got me back into speedo-shape with pretty intense but super efficient custom circuits. Oh and, we had so much fun. I am looking forward to every single session! I worked with Andrew back when he was a trainer at Equinox and all I can say is he will put you to work! He was always very supportive and encouraging and as such got me to achieve goals that even I thought were a stretch. He’s also a great guy to have around, which makes it easier when it feels like he’s killing you, and at the end of it all I guarantee you will have made a valuable friend. I worked with Andrew multiple times weekly for over six months and was entirely pleased! He’s thoughtful, smart, appreciated my limitations, and knew just how to direct and encourage me to get the results I wanted. The work was not only rewarding – but it was fun as well! Working with Andrew is a can’t miss experience. Highest marks! Andrew is a great trainer - listens to your goals, develops a plan, and delivers results. He is clear in his instruction and pushes you without being aggressive. He can adapt to all skill levels. I had never done any strength training and he helped me achieve so many goals & milestones. He has been amazing to work with! Andrew is an experienced, well educated, focused trainer with casual swag. I hired him to get me back into a regimental routine since I had been new to entering Equinox Sport Club. I was drawn by his personality and passion for health-fitness. He is organized and assists you to create a routine that is personal for your benefit. I am a client who travels and he is still able to forward me material that I can maintain while being away. Andrew is not your typical trainer. He provides you support but also gives you a good laugh through those moments of fitigue. A loyal and humble guy who has fun with his clients, a true friend when it comes to opinion (or even question), a reliable source you can count on. If you contemplate thinking the time is now to start your physical journey, I can assure you, this kid will rise to the occasion if you tell him you are ready. Make the commitment to create a better you!